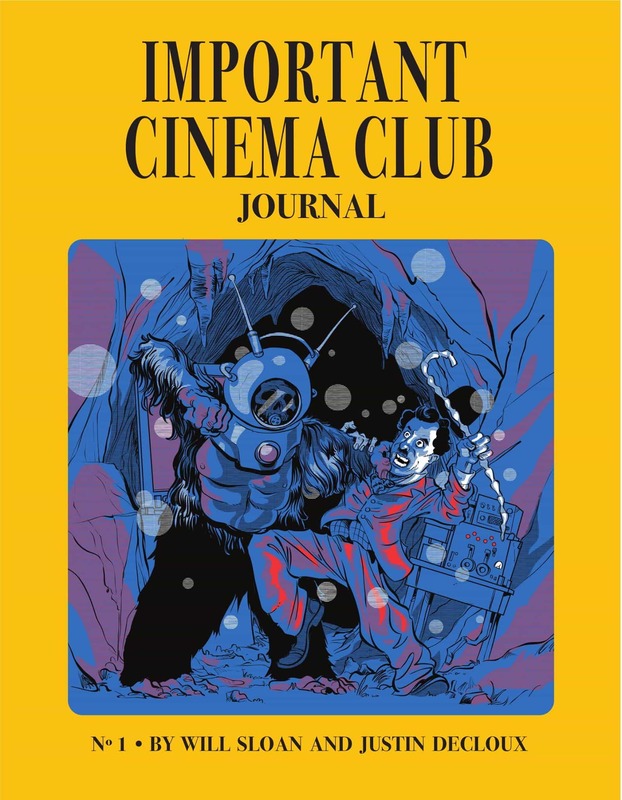 Pick up your copy of The Important Cinema Club Journal! The blockbuster podcast is now an UNMISSABLE NEW BOOK! 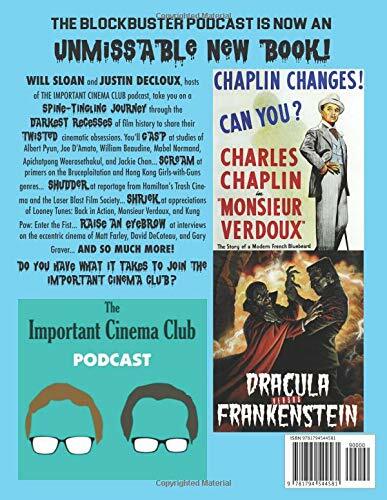 Will Sloan and Justin Decloux, hosts of The Important Cinema Club podcast, take you on a spine-tingling journey through the darkest recesses of film history to share their twisted cinematic obsessions! You'll GASP at studies of Albert Pyun, Joe D'Amato, William Beaudine, Mabel Normand, Apichatpong Weerasethakul, and Jackie Chan... SCREAM at primers on the Bruceploitation and Hong Kong Girls-with-Guns genres... SHUDDER at reportage from Hamilton's Trash Cinema and the Laser Blast Film Society... SHRIEK at appreciations of Joe Dante's Looney Tunes: Back in Action, Charlie Chaplin's Monsieur Verdoux, and Steve Oedeker's Kung Pow: Enter the Fist... RAISE AN EYEBROW at interviews on the eccentric cinema of Matt Farley, David DeCoteau, and Gary Graver... and so much more! DO YOU HAVE WHAT IT TAKES TO JOIN THE IMPORTANT CINEMA CLUB?